Updated for 2018! The scoring rubric for each of the Olympic events is intended to eliminate the possibility of scoring bias from the judges. Let your students learn more about the scoring of one event and decide whether it seems fair or not. 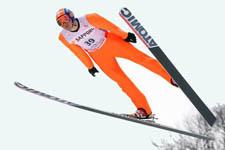 In ski jumping each entrant receives style points and distance points. Check it out! For members we have an editable Word dock and solutions. ← Which TV is the Best Deal?